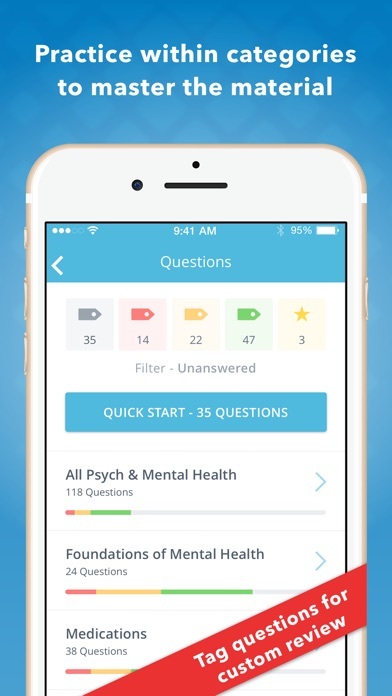 I used this app to study 20-100 questions a day for a month before my NCLEX and I passed in the minimum questions. I suggest using it on the computer cause it’s easier to see and read the rationales that way. Good luck! Now how do I delete it so it will stop charging me? I passed!!! I did Saunders review as well as NCLEX Mastery PN. Let me just say this app is amazing, thousands of questions with easy to understand rationales. There’s so much to this app, not just questions. I did 200 questions a day for two weeks! And the money for the subscriptions are Pennies compared to other apps. Get this app!!! Listen to me, Get this app!!!! Why are some questions locked up from me to do? This app is awesome! 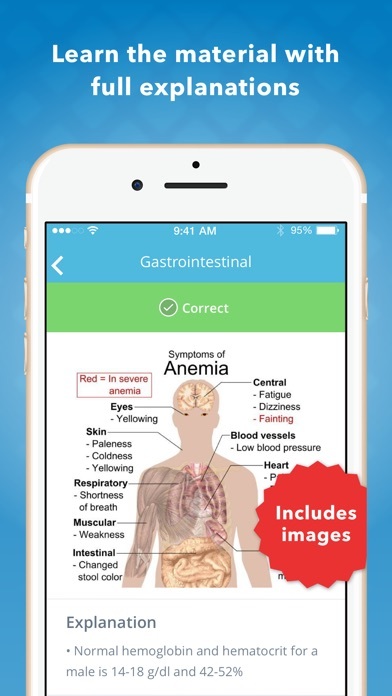 Mostly used this app to study. 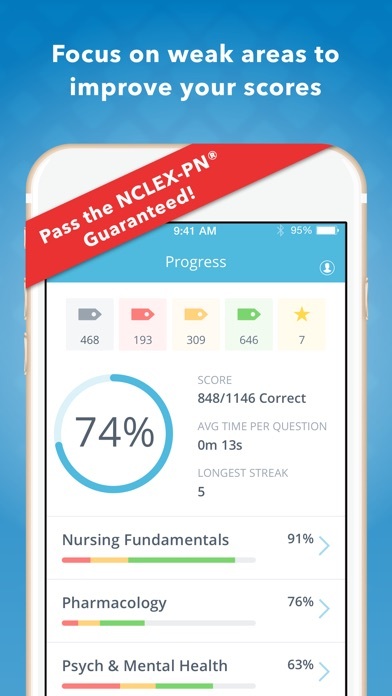 I skimmed through my nclex book but mainly stuck with the app and it helped me so much! Highly recommend it. This app is AMAZING! I used it for a month and ended up passing my Nclex PN exam. It’s worth every penny.